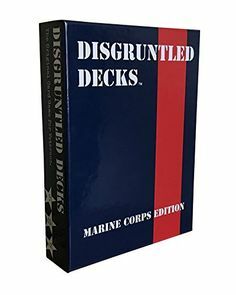 Disgruntled Decks Marine Corps Edition (11/25 @ 2100). (Sort of like Cards Against Humanity … but SPECIFICALLY FOR MARINES. No kiddos present, please). For more information please contact the SMP front desk at 252-466-3027.